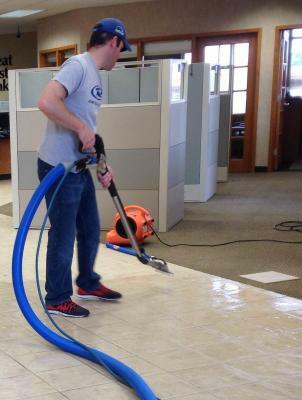 This is a tile & grout job we did recently for a local bank. 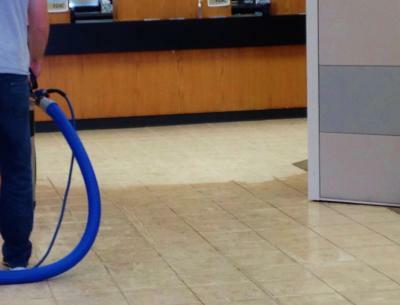 Russ is scrubbing away with the Turbo. It’s easy to tell what’s been done and what hasn’t! Here’s Russ, getting the edges and corners with the Gekko. Call Steamway Craftsmen Cleaning Services, in Ames, IA, for your tile & grout cleaning, carpet cleaning, carpet repair, wood floor refinishing, dryer vent and air duct cleaning, furniture & car upholstery cleaning, area rug cleaning, or emergency water removal. We’re here to serve you! Serving the Ames, IA area for over 40 years!